It’s a new year so that means new projects. My first project of the year isn’t going to be in my own house…but in my Mother in Law’s home. If you have yet to read our first makeover for her new 55+ home, we added some beautiful furniture and fresh paint. 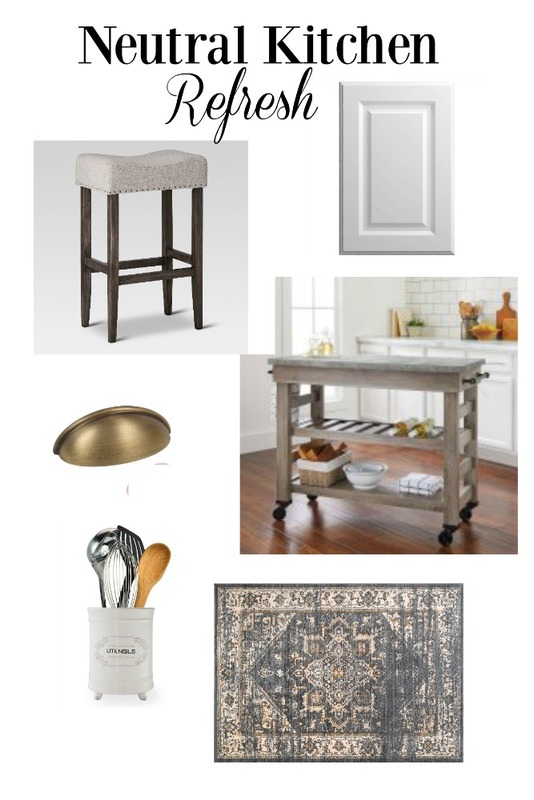 Well, now for our New Year Room Refresh Challenge hosted by my lovely friend Stephanie from Casa Watkins…we are adding some modern touches to her outdated kitchen. Her kitchen has great space for such a small home…but we thought we can give it some style. With help from some lovely sponsors and the 5-week challenge ahead, we are going to be taking this kitchen from looking brown and decent…to stylish and sophisticated with a small budget (as always). Now, to put the work in and get this place looking fresh and beautiful for the New Year. Update kitchen cabinet doors with paint and adding some needed accessories with instantly make a difference in the space. Keeping to a small budget for a kitchen makeover doesn’t mean it will look cheap. 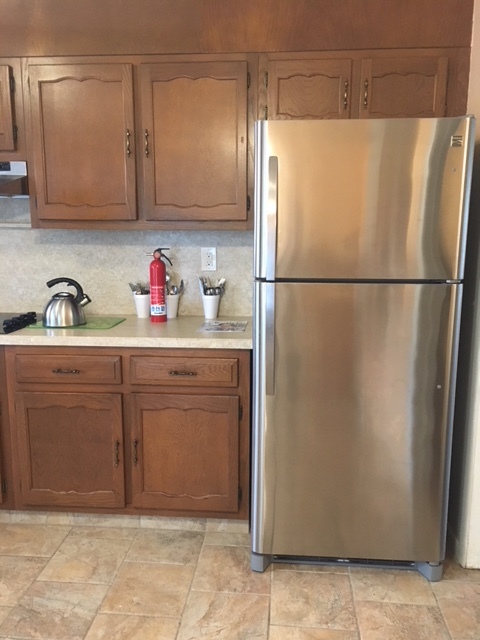 Fortunately, the cabinets in this kitchen are in good condition and the flooring is fairly new so we just needed to do some freshening up with my favorite (paint) and modern accessories to take the old lady out of this home. Please stick around and see my weekly updates as we make progress in this kitchen…and check out all the lovely blogs below and see what rooms they are giving a much needed New Year Refresh. Take part in the New Year Room Refresh and share your links below! Oh boy. That is going to be an awesome change. I am excited to see. Thank you Jewel! I can’t wait to get working on it! This kitchen is going to be amazing! My MIL has been wanting me to do her house too. I’m thrilled to follow your MIL’s home transformation! Thanks Steph! It’s kind of nice to do someone else’s house for a change. The hardest part is that you just can’t be as impulsive when starting up a project since you actually have to travel to get there lol. 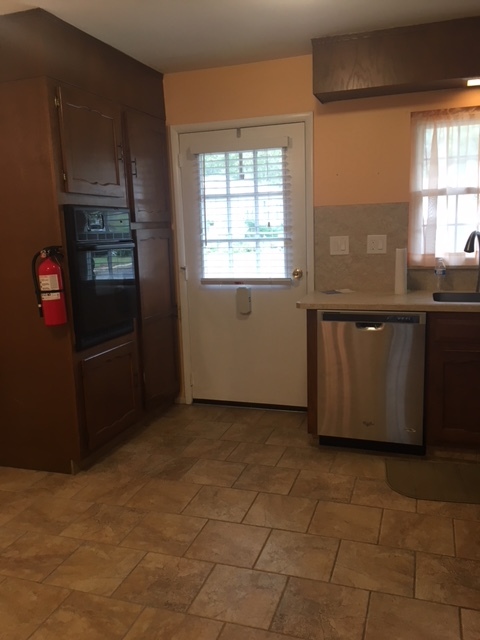 I can’t wait to see how the kitchen turns out! 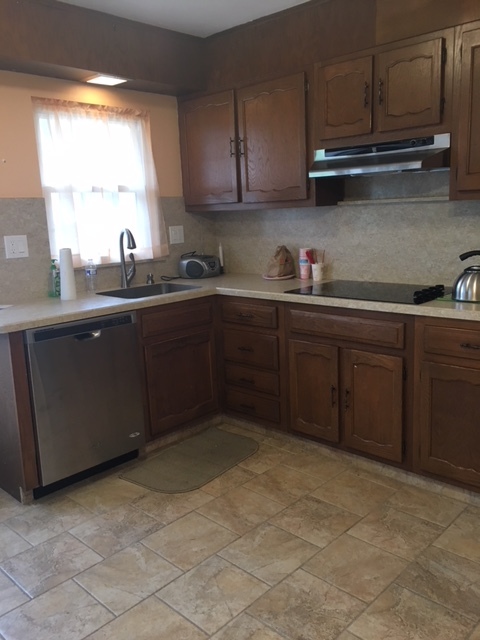 I have wanted to paint my cabinets for a while now, they are a dark brown and I thought that painting the walls a lighter color would satisfy me (even though it helped), it didn’t. When you go to paint the cabinets do you recommend a certain sprayer? Can’t wait to follow along! oh yay Holly, I hope my post helps. I actually don’t use a sprayer (even though I’ve always wanted to on cabinets). I am going to just brush paint and use a foam roller in larger sections. Looking forward to the finished look. oh man, y’all have your work cut out! I see potential though!!! I think once the cabinets are painted it is easy sailing from there on. Good luck sis! yes, exactly the cabinets is the longest part..but will be worth it! thank you so much Ivory! We can’t wait to see it transform. Ooh, she’s going to love it! I do, just by the design board! Can’t wait to see it all come together! I can’t wait to see it Deb! I love all your inspiration pieces and I know it’s going to be amazing! What an awesome experience you get to help her with! Thank you so much cat! The neutral look you’ve got planned looks so fresh and airy. I adore rooms done in neutrals with an “edge”. I cannot wait to see the completion. Your rug might have to be in my kitchen as well! Good luck. You are going to have one TERRIFIC kitchen! I am so excited to see this transformation! What a nice thing to do for your MIL- can’t wait to see the transformation! Those updates sound (and look) fantastic for her kitchen. It will be great to follow. thanks Linda! We are looking forward to seeing it all come together! It’s going to look beautiful! It’s amazing what some paint and new hardware can do and I know your styling will be on point! thanks girl!! Oh gosh I can not wait to see your kitchen makeover.